This week I’ve been doing some analysis of the specification of object semantics in the current ECMAScript preparation. This is in support of some new proposals and and specifications that I’m writing for the next edition of ECMAScript. Some of this material may be useful for readers of the specification and in particular developers who are implementing the specification so I’m making it available here. 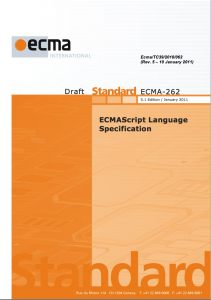 As I create or find other useful resources relating to the ECMAScript spec. I’ll post links to them at the same place.